In a frying pan, cook bacon about 3-5 minutes, until partially cooked but not completely crispy. Transfer to a paper towel-lined plate. Cut out circles (about 3 1/2 inches) in each piece of bread using a cookie cutter or a drinking glass turned upside down. Press the bread rounds into the greased muffin wells. 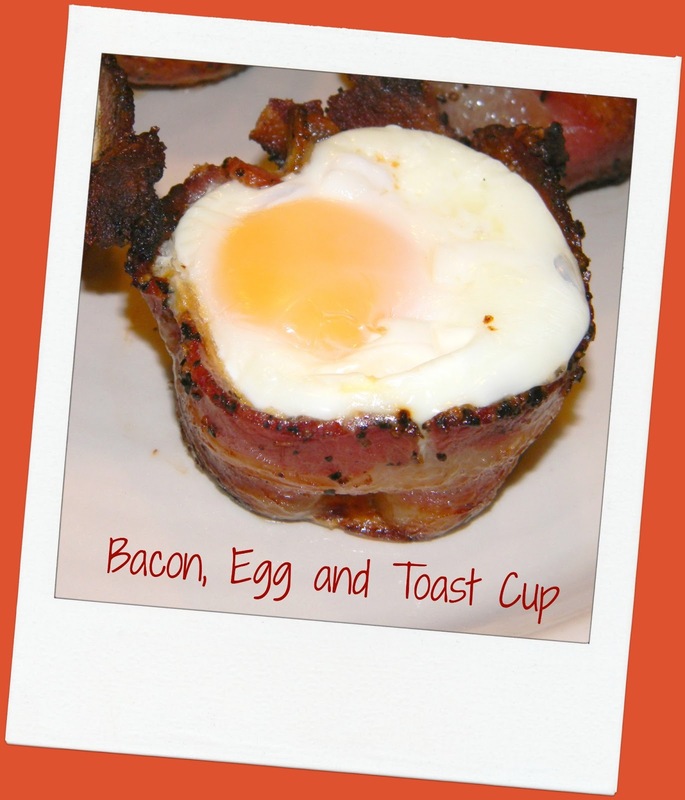 Curl a piece of bacon around the periphery of each piece of bread, positioning it between the bread and the muffin tin to help keep it in position. Sprinkle a small amount of shredded cheese in the center of each piece of bread. 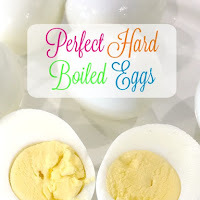 Crack one egg over each piece of bread being careful not to break the yolks. 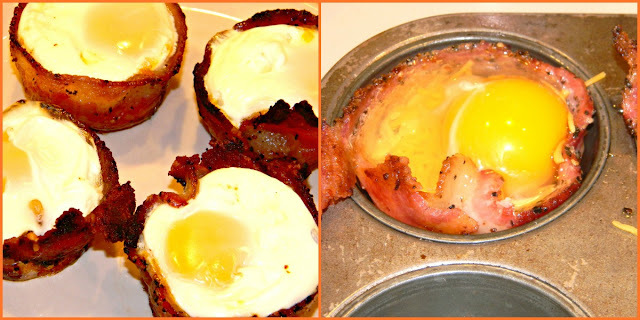 Bake for 20-25 minutes or until the eggs are done to your liking. 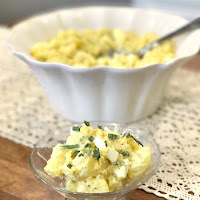 I have entered this recipe in Gooseberry Patch Recipe Round Up for Savory Easter recipes. Click here to see the other wonderful entries. 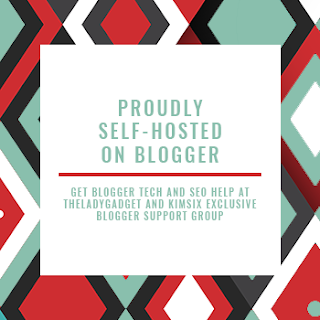 I have been trying to promote my blog a little bit more by getting some of my post out on blog hops. It is working out well as I have gone over 10,000 page views!!! I have gone from around 700 monthly views to almost 3000 page views last month...thanks to all my blog hop friends! My Strawberry Champagne Cake placed as a runner up in the Spiked Recipe Challenge. 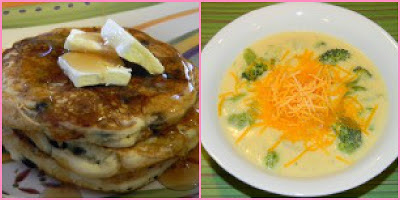 On Gooseberry Patch blog this week I entered Lemon Blueberry Pancakes and Broccoli Potato Soup in their blog hop for Meatless Meals. 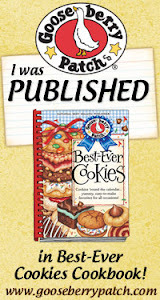 Out of 112 recipes I ended up with both of mine in the top 10. Thanks everyone who voted for me! You can check out the top 10 by clicking here. 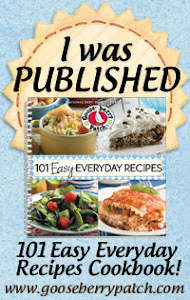 While browsing through the grocery ad this week and writing out my list, I came across Progresso Recipe Starters. This got my curiosity up as to what you could make with this can of sauce. I Google it and found that Progresso has a web page filled with recipes to use with these starters. Click here to go to the Progresso Recipe Starter recipe page. There are 5 different flavors and I chose Fire Roasted Tomato and Creamy Parmesan Basil. After looking through the recipes I decided on this Pan-Fried Ravioli in Tomato-Vodka Cream Sauce. It just sounded so rich and elegant. It was super easy to make and tasted like it would have taken a lot of time to prepare. The Fire Roasted Tomato Cream Sauce reminded me of a Roasted Tomato soup that Bill had a few weeks ago in our new favorite Italian Restaurant. Cafe Paradiso which is located in Urbana, Ohio right on the center square.It is a neat small restaurant were everything is made when you order. If you are ever in the small country town of Urbana, Ohio stop by Cafe Paradiso and you will not be disappointed. The only thing I did different than what the recipe stated was that I grated my garlic instead of finely chopping it. Oh the smell of the grated garlic hitting the hot oil in my skillet was divine. In 6 quart Dutch oven, heat 4 quarts water to boil. 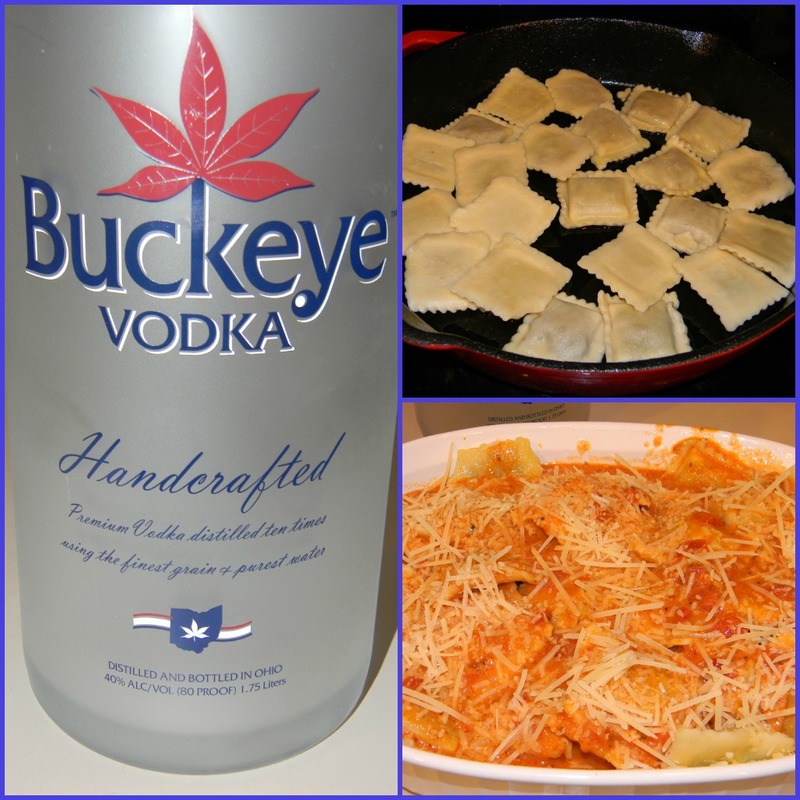 Add ravioli. Cook 3 minutes and drain. In 12 inch skillet, heat 1 1/2 T extra virgin olive oil over medium heat. Add half of the drained ravioli in single layer cooking 4 to 6 minutes, turning once, until golden brown (mine did not get brown but I could tell they were fried by the dry looking color they became) Remove to a platter; cover to keep warm. Repeat with another 1 1/2 T extra virgin olive oil and remaining ravioli. Remove to platter and cover to keep warm. To the same skillet add 1 T oil and the grated garlic. Cook over medium heat for 30 to 60 seconds, stirring constantly, until garlic is tender. Carefully stir in cooking sauce and vodka, heat to boiling. Reduce heat to low and whisk in the cream. Cook 1 to 2 minutes, stirring occasionally, until hot. 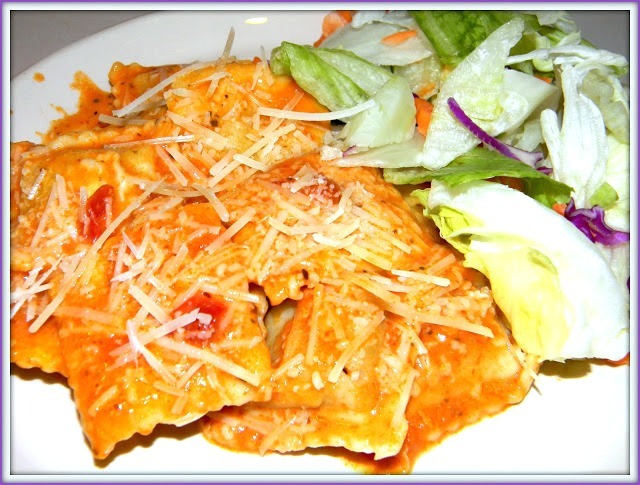 Pour sauce over ravioli and sprinkle with cheese. We had an eventful ending to last week to say the least. Cally was on her way home from school on Thursday and while at a stand still on the highway she was rear ended. Needless to say poor Cally was a little bit freaked out by it all. It being her first car accident and that she was by herself and 2 hours from home. I was not faring any better as I felt helpless being so far away and her being so upset. It all ended up ok. Cally does have a concussion and whip lash but she has gotten meds and is on the mend. I have had a good weekend with having both the kids home. It is so nice to sit down in the evening in front of the fire with all 4 of us watching TV and playing on our computers. 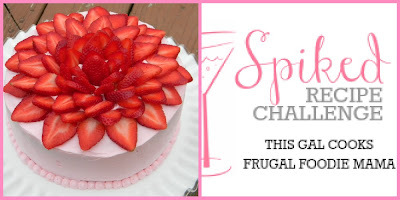 I entered my Strawberry Champagne Cake over on the Gooseberry Patch in the bog hop last week and it received the most votes and is now featured on their blog page. 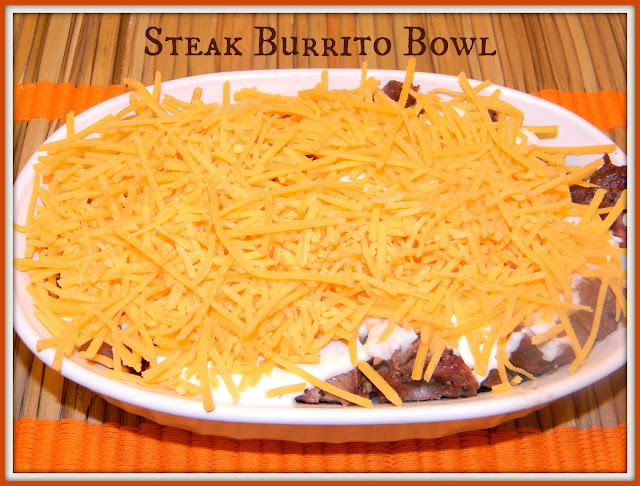 My Steak Burrito Bowl is also featured further down on the blog post. 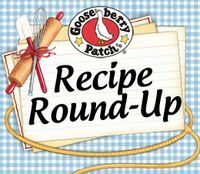 There sure are a lot of good dishes featured over there, click here to go to Gooseberry's Patch blog. 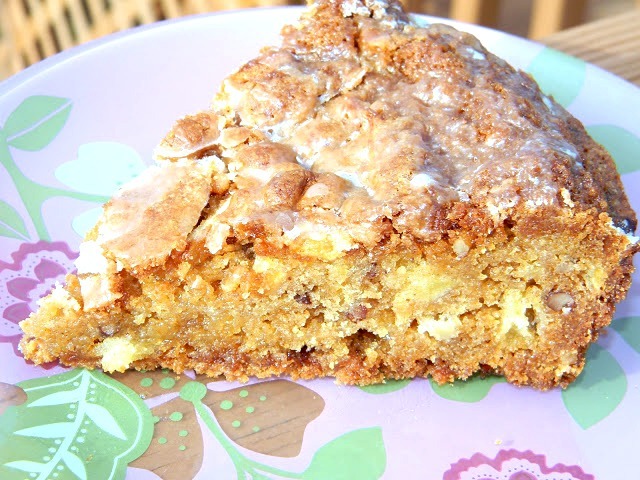 This Amish Apple Brownie is a family favorite of ours. Cally made this several years ago for a competition at the county fair and she won 4th place. They remind me of a blond brownie but with a cinnamon spice taste and nutty. They are super moist and really good. It is one of those things that you start eating and want to eat the whole pan. The recipe called for it to be baked in a 9 x 9 pan but I baked mine in a 9 inch round pan. I also increased my baking time by 10 minutes because it was not all the way done in the middle. 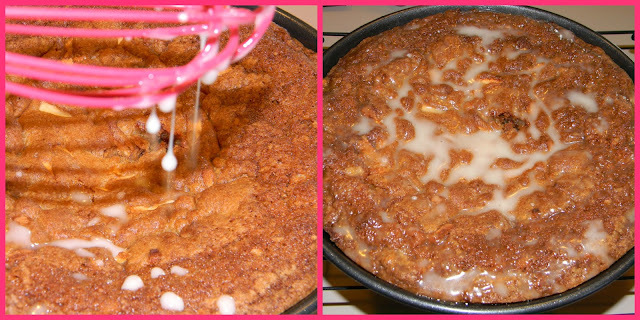 In a large mixing bowl cream butter, sugar, eggs and vanilla with mixer. Combine dry ingredients and add to butter mixture. Mix until flour is moistened. Fold in apples and nuts. Spread in greased 9x9 baking pan and bake at 350 degrees for 45 minutes. Drizzle warm brownies with vanilla glaze. Last week I found 2 new favorite blogs, This Gal Cooks and Frugal Foodie Mama. 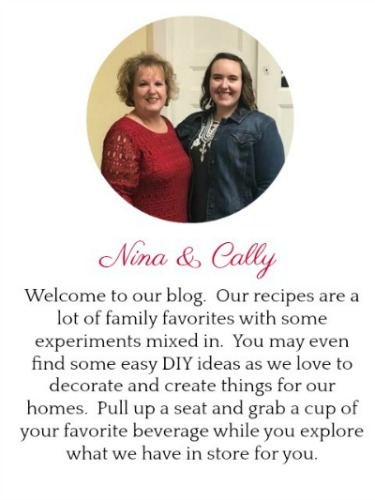 While exploring their blogs I signed up for a Spiked Recipe Challenge. In this months challenge you have to use Champagne in your entry. I decided I was going to do a desert. Strawberries and Champagne just seem to go together. After that thought, I decided to make a cake. I started with the idea of making my cake like the sunsational cake I have made in the past. I knew I wanted a white cake mix and strawberry jello. When shopping for my champagne I picked a blush champagne, that just seemed more like it would go with strawberries. I always like to add pudding to my cakes as it seems to just make them a little fluffier. 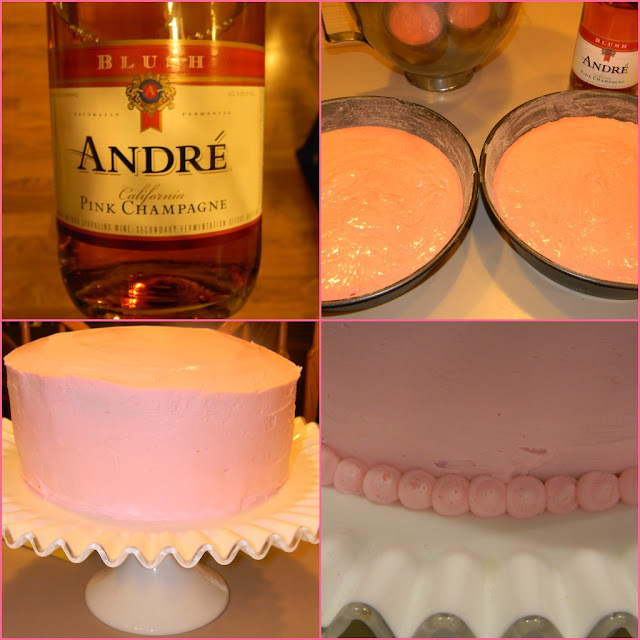 Since it was called a Strawberry Champagne Cake I felt it should actually have some strawberry puree in the cake instead of just the strawberry jello flavoring. The icing I put on the cake was adapted from Cally's graduation cake. The Dream Whip icing is scrumptious. 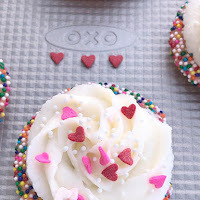 What could be better than a butter cream icing with the addition of Champagne...yummy! I found the idea to make a strawberry flower on my cake from another of my favorite blogs , Lick the Bowl Good.......Thanks Monica ! Stay tuned and I will let you know how I do with my entry in the Spiked Recipe Challenge. Pour into 2 greased and floured 9 inch round pans. Bake in preheated 350 degree oven for 30 minutes. Cool cake completely on cooling racks before icing. Add shortening, whipping cream and butter. Combine with mixer on low speed, scrapping sides of bowl as needed. Once combined, mix on high for about 2 minute. It should look like frosting. Add powdered sugar, 1 C at a time, mixing on low after each addition. I used an egg slicer to slice my strawberries. Then I start at the edge of the cake going around the cake until I come to a little hole in the center where I placed a whole strawberry. This is my version of Chipotle's Steak Burrito Bowl. We have gone from snow to unseasonably warm. Last night we grilled out steaks. I bought a cut of steak that we had not had before, Chuck Eye Center Eye Steak boneless. Bill said he thought they were going to be tough. So to tenderize them some I sprinkled McCormick Grill Mates Montreal Steak seasoning. I put the steaks on the grill and rubbed the tops with the seasoning, let them cook for a bit and then flipped and put more seasoning on the flipped side. They smelled heavenly cooking on the grill. The steaks were really good. I had grilled them until they were just a little red in the center. While eating Cally and I decided that the steak reminded us of the steak that is in the Chipotle's Burrito Bowl. I had a couple steaks left over after eating and decided I was going to experiment with making my own version of the Steak Burrito Bowl. I put these bowls together for Bill and I for supper tonight and they were lip smacking good!!! I just used minute rice and flavored it with half a juice of lime and sea salt. The rice was nice and tangy. The pinto beans I bought in a can and just had to warm. I then cut up the left over steak and warmed it. Cally had read on the Internet that Chipotle's sour cream is whipped sour cream. I took my mixer and whipped up the sour cream until it was smooth and thin. Bill also had salsa on his bowl. I did not think of it but you could also add shredded lettuce and jalapenos if you prefer. Then top it all off with cheese of your choice. Boil 2 C water. When boiling take water off the burner and put in 2 C minute rice. Cover and let sit for about 5 minutes or until the water is absorbed. Juice the 1/2 lime in a separate bowl and add the 1/2 t sea salt. Stir the lime juice around until the sea salt is dissolved. Add the lime juice/salt mixture into the rice and fluff with a fork. 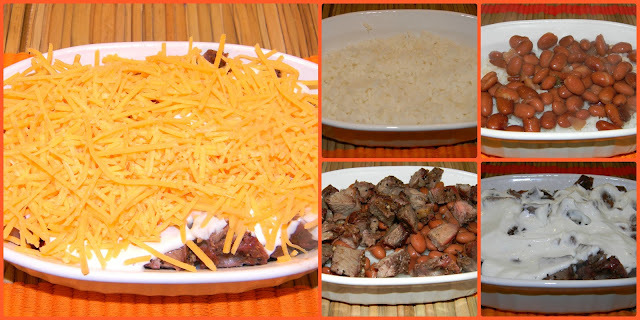 I used 2 (19.75 oz) cans La Costena Whole Pinto Beans, warm the beans, drain and add them on top of the rice. I used my left over steak. About 4 to 5 oz per bowl. Starting today it is back to our new normal. Billy went back to Columbus on Friday and Cally left for Portsmouth this morning. I loved having them home with me again. This was the best Christmas ever! I have made these rolls several times and they are melt in your mouth good. They are light and airy and oh so buttery good. The last time I made them I left the rosemary off of a few so if the kids wanted they could put jelly on them and not have the rosemary taste. I have made a few in a small cast iron skillet but I got rid of my bigger cast iron skillet because of not being able to use it on my stove top. For Christmas Bill bought me a cast iron skillet that has a rubbery coating on the outside that I can use on my stove top. I love it! Anything I have cooked in it does not stick to the sides, it works better than the non-stick skillets. 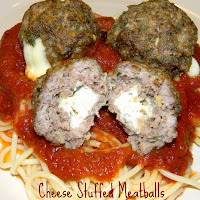 The best thing about this recipe is that it uses frozen dinner rolls. 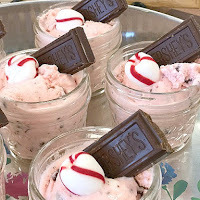 So super easy to make. Just place the frozen rolls in the pan to thaw and rise then doctor them up and bake. Spray a cast iron skillet with cooking spray. Place frozen rolls in the skillet, leaving plenty of room for rising. Cove and allow to rise for several hours. After rising, brush rolls with melted butter. Sprinkle with dried rosemary. Brush with additional butter. Sprinkle with Sea salt. Bake according to roll package directions (usually 400 degrees for 15 to 20 minutes) until rolls are a deep golden brown on top. Serve skillet on the table.